Spyder Lee Entertainment, organisers of the GN Bank Awards, has released the final list of performers for its maiden awards event coming off on Saturday March 21 with Shatta Wale confirmed as the headline performer. In all, about 10 performers including Shatta, the reigning Vodafone Ghana Music Awards Artiste of the Year and Best New Entertainer at the 2014 International Reggae and World Music Awards are expected to bring the venue, Accra International Conference Centre alive when they mount the stage on the night. They are legendary highlife musician, Abrantie Amakye Dede, gifted and multiple award winning songster, Efya, and emerging African music icon, Noella Wiyaala. Making the rest of the list are Ghanaian hip-life musician EL, R&B singer, Raquel, UK’s superstar disc jockey, Tim Westwood, gospel musicians Joyce Blessing and Obaapa Christy as well as hiplife musician, Luther. 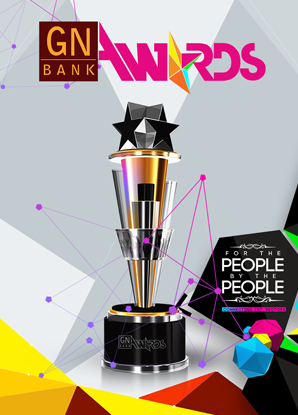 According to Chris Koney, the Awards Administrator, the event promises to be the biggest night in Ghana as the people’s favourite performers within the Arts and Entertainment industry from August 2013 to August 2014 are celebrated and awarded.